The Vaccination matters campaign encourages parents to immunise their babies and young children against vaccine preventable diseases. In Queensland the rate of immunisation for one to four year olds averages 91.5 to 92.1 per cent. This means that around one in ten Queensland children are at risk of contracting vaccine preventable diseases. 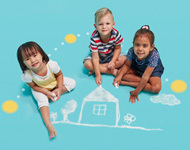 Queensland Health's statewide childhood immunisation campaign Vaccination matters launched in December 2015 and encourages parents to immunise babies and young children in accordance with the National Immunisation Program Schedule Queensland. 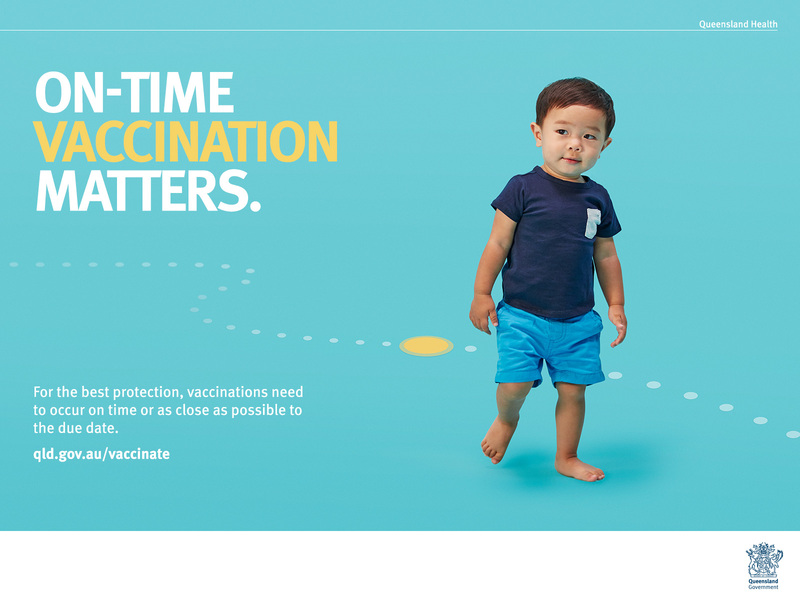 The campaign includes television, radio, print, out of home and online advertising reminding parents that vaccinations need to happen 'on time' to give children the best protection against vaccine-preventable diseases. 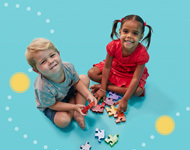 The campaign also advised parents that new Queensland laws coming into effect from January 1, 2016, will mean that if parents can't show their child's vaccination status is up-to-date, their childcare options may be affected. 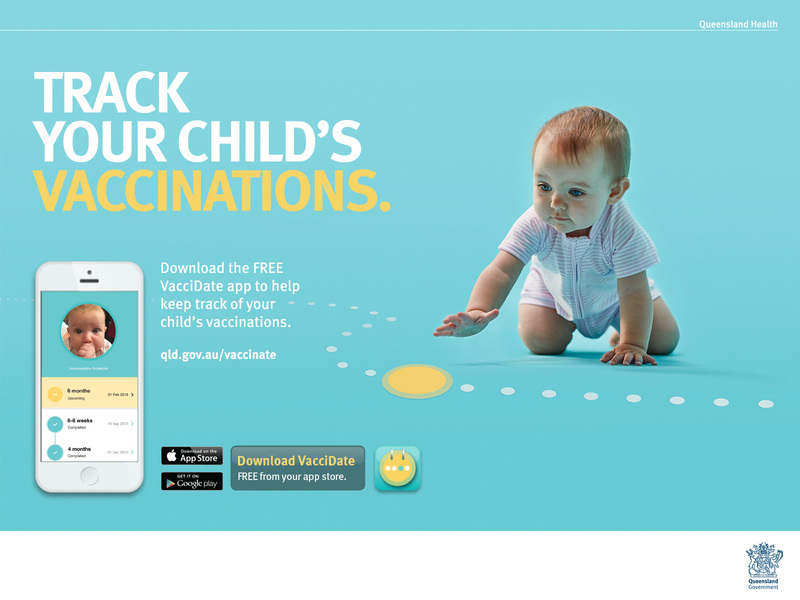 The free VacciDate smart phone app is a great tool to help parents keep a record of each child's immunisations and provides reminders when vaccinations and appointments are due. 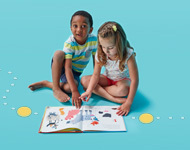 Campaign materials are available for download for GPs, councils, immunisation service providers, childcare centres and anyone who would like to promote the campaign messages of on-time vaccination. Visit the Vaccination matters website. Download key campaign resources below. Email us to order printed materials and to find out about other resources. Vaccinating your child on time is the best protection you can give them against life-threatening diseases like whooping cough and measles. And from the first of January 2016, new laws mean that your childcare options may be affected if you can't show that your child's vaccinations are up to date. So, if you're up to date, you've got nothing to worry about. But, if you're behind schedule, help's available. Call 13 HEALTH, ask your GP or see our website for the facts. Authorised by the Queensland Government Brisbane.